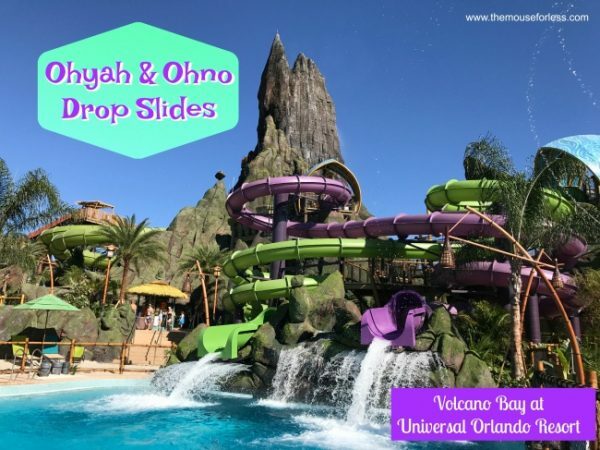 Volcano Bay is the Universal Orlando Resort’s newest theme park. This unique water play area opened on May 25, 2017. 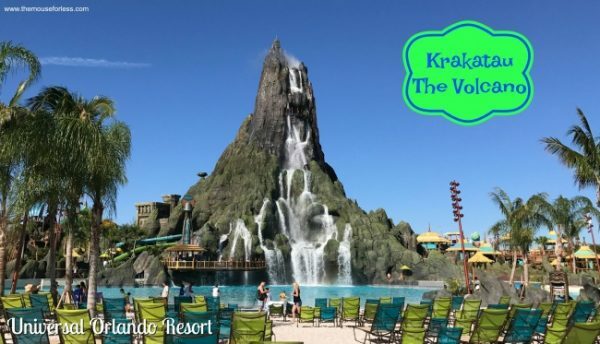 It is the first water park constructed by Universal Orlando and is themed around a 200-foot-tall mighty fire and water volcano named “Krakatau”. This water theme park spans 28 acres and transports you to a lush, tropical oasis inspired by the Pacific isles. Every step is filled with thrills, indulgence or rejuvenation. 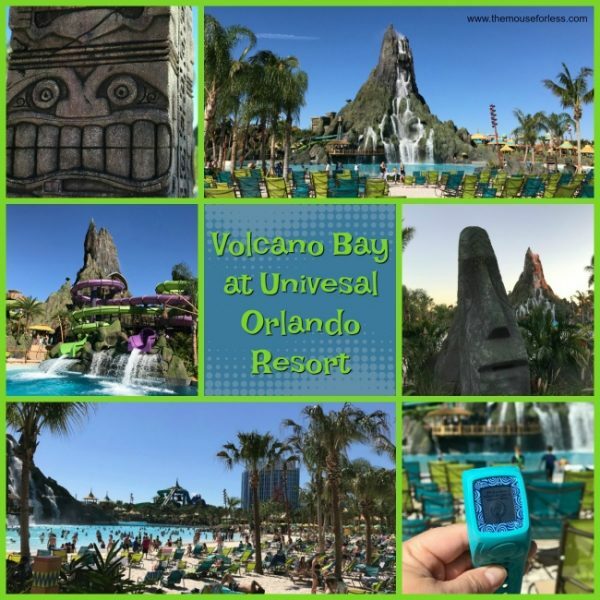 Volcano Bay takes the water park experience and kicks it up to the next level. It takes the irritating aspects of visiting a water park and turns them into positive experiences. For example, Guests don’t need to carry their tubes throughout the park. It is revolutionary, as it is Orlando’s only park offering complete Virtual Line convenience courtesy of its TapuTapu technology. This means Guests don’t need to stand in long lines to ride the park’s premiere attractions. When you come to Volcano Bay, you are welcomed as one of the Waturi family. The islanders have never forgotten the kindness and generosity their ancestors encountered in their journeys across the Pacific, therefore, they offer up the exact same spirit of friendship and extend it to every guest who visits Volcano Bay. 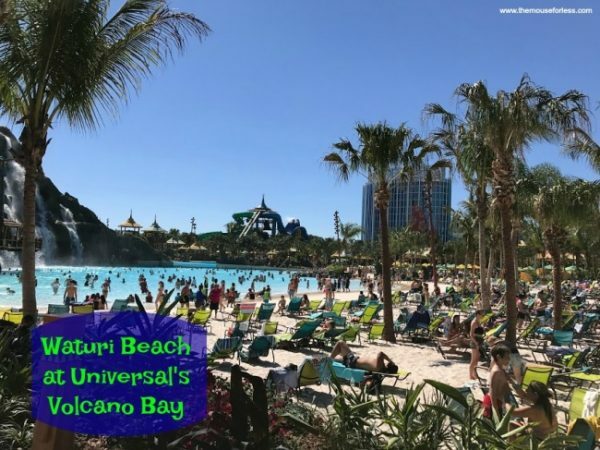 Admission can be purchased for only Volcano Bay, or can be combined with admission to Universal Studios Florida and Universal’s Islands of Adventure. Multi-day tickets are also available. Visit our ticket page to review ticketing options. Volcano Bay is made up of four incredibly themed areas with Polynesian influences ranging from Easter Island, Hawaii, New Zealand and more. Please note ride restrictions on park maps. At the heart of the island stands Krakatau. Krakatau is the mighty Fire and Water Volcano that towers 200 feet above the tropical landscape. It has streaming waterfalls during the day and an incredible fiery lava effects that take place at night. Inside the volcano, Guests have the opportunity to brave a number of heart-pounding water slides. Experience the power of Krakatau, as Guests step into a four-person canoe that slides upward through the mists and into dark twists and turns within the volcano. Guests will emerge with a plunge through a shimmering waterfall. Brave the incredible Ko’okiri Body Plunge. This attraction features a 70-degree fall through a drop door and 125 feet of white-knuckle fun. Twin trap doors simultaneously drop two guests down clear, intertwining tubes before sending them joyfully splashing into the waters below. Punga Racers send riders on manta ray mats sliding down four lanes through underwater sea caves. This is a peaceful escape that overlooks the sparkling waters of Waturi Beach at the base of the volcano. The surf’s always up at Waturi Beach. Swim, splash and relax in the sparkling waters and warm waves of this sparkling lagoon at the foot of the mighty Krakatau. The scenic River Village offers fun for people of all ages. Guests can enjoy these two twisting, turning, multi-person slides. Honu sweeps up two massive walls, while ika Moana sprays water on riders from the center of the raft. Little ones can frolic among the splashy slides and fountains of the Tot Tiki Reef toddler play area. Meanwhile in Runamukka Reef, older children will be delighted with bubbling geysers, water guns, slides and dump cups. Take a slow ride on the Kopiko Wai Winding River. Sprays of water surprise along the way. In addition, beneath the lava rocks, Stargazer’s Cavern reveals the magical night sky above. Rainforest Village stretches along the shores of an action-packed river and features the perfect mix of relaxation and exhilaration. Ascend cliff side and plummet down the twisting waters of Ohyah before dropping out four feet above the pool below. Guests can also brave the rope bridge and plunge down Ohno, which is a serpentine adventure that ends six feet above the pool below. This six-person rafting adventure is a favorite, but it’s not for the faint of heart. Choose one of two paths or try them both with this thrilling ride. Puihi careens through a dark, winding tunnel before the stomach-flipping thrill of zero gravity hang time. Maku slides you through a deep volcanic gorge before spinning wildly around bowl-like formations. Guests can experience a thrilling whitewater ride along TeAwa The Fearless River. Race along a roaring, watery onslaught of churning rapids and choppy waves all while hanging on tight to your inner tube. Here Guests can ride the four twisting water slides called the Taniwha Tubes. Riders can try all four tracks, but beware because tiki statues spray jets of water when you least expect it. 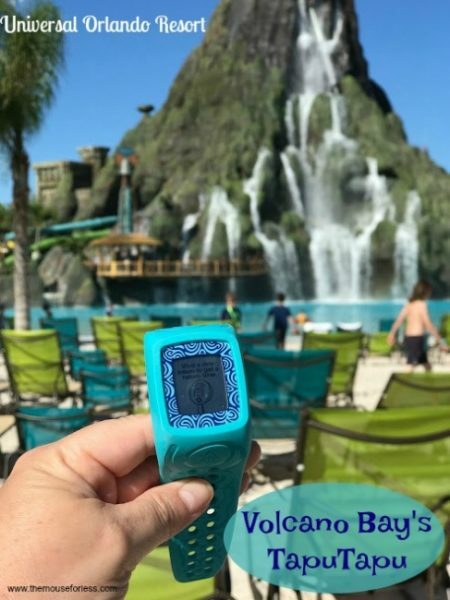 With the all-new TapuTapu technology that will be utilized at Volcano Bay, riding the attractions will be as easy as a wave of your wrist. At Volcano Bay, every Guest is granted the powers of TapuTapu technology. 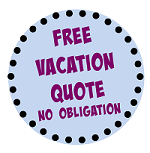 There is no additional cost associated with using it in the water theme park. TapuTapu allows Guests the ability to hold your place in the ride lines and discover other wondrous surprises while you wait. Once you arrive at Universal’s Volcano Bay, you will be welcomed as a part of the Waturi family. Guests will receive their TapuTapu wearable as they enter the park. This device will be yours for the day to unlock the park’s attractions and other surprises. It looks like a simple and colorful watch or activity tracker. Guests should look for totems throughout the park and tap your TapuTapu when you see the TapuTapu symbol. This allows you to enter the Virtual Line experience and it will hold your place in line. You can then go relax and play in the rest of the park. When it’s your turn to ride the attraction, your TapuTapu wearable will alert you by buzzing. Guests will be able to experience interactive surprises around the park. These include things like lighting effects and water jets. Guests must return their TapuTapu wearable when they exit Volcano Bay. TapTu Pay: With TapTu Pay, there will be no need to use wet money at the theme park. TapTu Pay allows gueats to make purchases throughout the entire theme park with the TapuTapu wearable. Guests simply have to connect their credit card via the Universal Orlando Resort app. You will need to create a free account (if you don’t already have one) that will be used to connect all of your information together. TapTu Snap/My Universal Photo Access: You’ll be able to take advantage of special interactive photo opps and selfie-spots throughout the park (including on select Volcano Bay’s rides). Your TapuTapu wearable will automatically link your photos to your account so you can view, purchase, and share your photos! 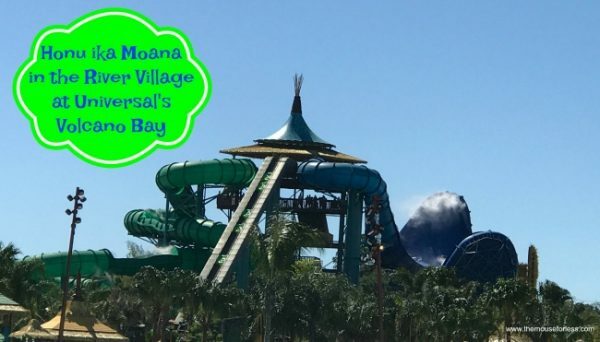 Locker Access: It will be so easy to access your lockers at Volcano Bay thanks to TapuTapu! After you rent your locker, you’ll be able to access it with just a touch of the wearable. No more keeping track of small locker keys! TapTu Play: As mentioned before, Guests will be able to trigger special interactive effects and surprises throughout Volcano Bay, like revealing hidden images in the volcano’s cave and shooting water cannons at unsuspecting guests. At this time, Universal Express is unavailable for purchase at Volcano Bay. Universal Express will be available at Volcano Bay. Volcano Bay Universal Express Unlimited Pass will allow Guests to go past the Virtual Line at participating attractions at Universal’s Volcano Bay an unlimited number of times. There’s no need to stop by the attractions ahead of time and receive a scheduled return time with your Tapu Tapu wearable. You can get to the ride when you want. Universal Express Unlimited will start at $39.99 per person, per day, plus tax, however it will range up to $79.99 per person. With the Volcano Bay Universal Express Pass, Guests will be able to go past the Virtual Line one time at each participating attraction. Universal Express will start at $19.99 per person, per day, plus tax, but will range up to $49.99. 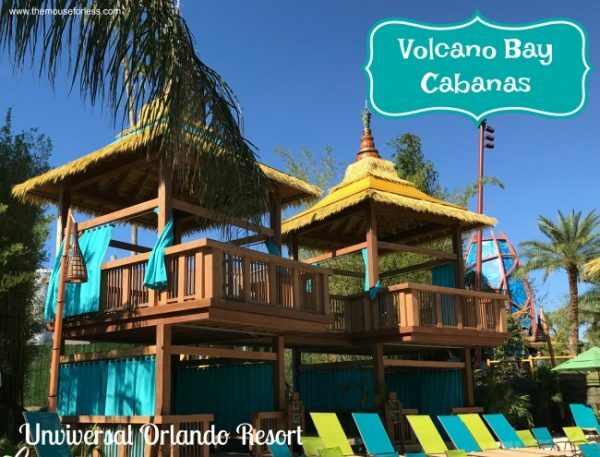 At Volcano Bay, Guests can take advantage of a variety of extras and special amenities including Cabanas and Premium Seating. Guests are invited to relax and enjoy your own private cabana with extra-comfy seating, concierge service and more. Each cabana offers padded lounge chairs, a small refrigerator that is stocked with bottled water, complimentary fruit and snack basket, towel and locker service, plus concierge service with an exclusive menu of food and drink delivered directly to the cabana. One-story and two-story retreats are located throughout the park. Single Cabana Units – Hold up to 6 people. Choose from upper level cabanas for spectacular views, ground level cabanas for convenience, or stand-alone cabanas that offer a bit more privacy. The cost for Single Cabana Units starts at $159.99 per day, plus tax. Family Suite Cabanas – Hold up to 16 people. Relax in a large, private stand-alone cabana. The cost for Family Suite Cabanas start at $299.99 per day, plus tax. At Volcano Bay, Guests can relax with the comfort and convenience of reserved seating for the day. Premium Seating includes a pair of padded loungers with an adjustable shade canopy and a built-in storage lockbox. Plus, you can enjoy the services of an area attendant who’ll see to your food and drink orders. The cost for Premium Seating starts at $29.99 per pair, plus tax. When dining at Volcano Bay, you don’t have to hike up to the front of the park for a bite to eat. Instead, dining establishments are located throughout the park for convenience. The Universal Dining Plan is available to purchase and use at Volcano Bay at participating quick service restaurants. 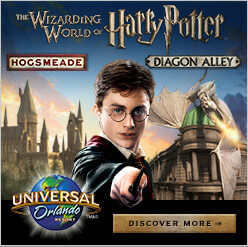 Pricing for the Universal Dining Plan starts at $22.99 per adult, per day and $14.99 per child, per day. You’ll have the opportunity to speak with Vol, the ancient fiery spirit who is trapped inside the Krakatau volcano. But first, you have to find him.